You can access your online University Housing contract at any time. You agree to pay us the full amount of room, board (if applicable) and other fees or charges assessed under the terms of the contract until the contract is completed or is terminated by University Housing. The contract is binding until the contract period expires or you withdraw from the University of Michigan. 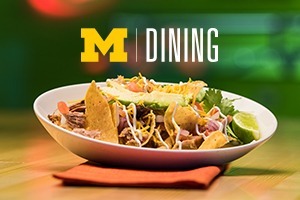 There are no exceptions if you are an enrolled U-M student. When you sign your Housing contract, you agree to the U-M Network Proper Use Agreement. Once we offer you a Housing contract, we can’t change your room/apartment assignment. For undergraduates living in a residence hall or the Northwood III apartments, a room swap or the wait list process are possible methods for finding another room or apartment after you’ve signed your contract, but there are no guarantees. Residents of Northwood I, II, IV and V may explore the option of an apartment transfer. Your Housing contract is not automatically renewed from year to year. If you live in a residence hall or Northwood III, and you’d like to stay with us for the coming year, you will need to participate in the returning resident housing process that begins each year in January. If you live in Munger or Northwood I, II, IV or V and are eligible to continue living with us, you will need to submit a renewal request, which is available in March. Contract termination is essential if you are leaving University Housing for any reason, including study abroad, work co-op or withdrawal from the University. Even if the contract has not yet begun, please notify the Housing Information Office immediately if you will not be an enrolled University of Michigan student on the Ann Arbor campus. For more information, review the undergraduate contract termination or the graduate contract termination sections below. Meal plan changes can be made as often as necessary within the first two weeks of each term. University Housing contracts are legally binding for the entire term of the contract. In a limited number of circumstances, contracts may be reassigned or terminated. Contract terminations initiated by residents, regardless of the reason, are not automatic and require that you adhere to the petition processes described below, or find another eligible student to assume your contract via the contract reassignment process. A decision on a petition received after December 5 will not be determined until Winter Term. If you have changed your mind and will not be enrolling at the University of Michigan, please send written or email notification to the Housing Information Office informing us of your need to cancel your signed Housing contract. If you are enrolled in any U-M credit classes, you will be held accountable for your Housing contract. If you are withdrawing during an academic term, fill out a Petition to Alter/Terminate Contract Form. If your request is due to medical or financial issues, please include that documentation as well. If your request is approved, your housing contract will then be terminated. You will be responsible for all room and board charges until you check out, regardless of your withdrawal date. 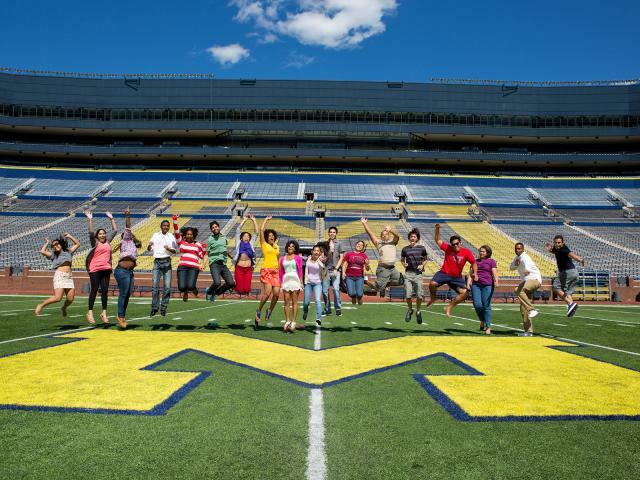 If you are not enrolling for the Winter Term due to graduation, U-M withdrawal/disenrollment, or participation in an internship or study abroad program, complete and submit an online Projected Withdrawal notification starting November 1. You will receive checkout procedures by email. If you do not follow the checkout procedures, you may be held accountable for full payment of your Housing contract. We ask that you vacate by 7:00 P.M. the day after the last fall exam is offered. If you want to terminate your Housing contract, you must complete the Request to Vacate. The transdisciplinary nature of the Munger program requires that students who are accepted to be part of this experience make a year-long commitment to fully engage with and immerse in the transdisciplinary nature of the Munger community. As a result, students should not submit a Munger contract unless they can commit to the full terms of the contract, including the length of the contract term. Munger contract holders are expected to honor the provisions of their respective contract through the entire contract term, including during academic internships and other out-of-class experiences. Neither graduation nor changes in eligibility are grounds for termination of the contract holder’s financial obligations under the contract. All standard contracts for graduate areas of Northwood I, II, IV and V end on June 30, regardless of the start date. Fill out and submit your request to vacate as soon as you know your intended vacate (termination) date. Your request to vacate must be submitted at least 30 days in advance of your intended vacate date. There is no guarantee that your request to vacate will be approved. Terminations may only be approved by the Housing Information Office and must be made online. Moving plans and travel arrangements should be carefully considered before submitting a request to vacate notice. Once approved, the termination date cannot be changed. A holdover fee of $125 per day will be charged if you have not moved out of your apartment by the approved contract termination date. Signing another lease is not recommended until you receive written notification that your Northwood contract termination has been approved. If early termination is approved, you may claim any refund due to you by contacting Student Financial Services. You will receive an email containing information on how to vacate your apartment. Please review and follow these instructions. Prorating: If contract termination is approved and you vacate on the 15th of the month or earlier, rent will be prorated for a half month. If you vacate on the 16th or any day thereafter, you will be responsible for rent for the full month. If you have a current Housing Contract and would like to move to a different room or apartment, you may place your name on a wait list. If you are interested in multiple living spaces, you can submit multiple entries on one form. FALL ONLY: Students who apply for the wait list process after the application period shown above will be added to the bottom of the lottery list in the order their entries were received. If we have a space to offer, you will receive an email from the Housing Information Office. Please respond to the email within 24 hours or you risk losing the space. If you refuse the space offered, your name will be removed from the wait list. Unfortunately, any fraudulent use of the wait list process will result in your name being removed from all wait lists. University Housing reserves the right to make an assignment to a vacant space outside of the wait list process when it is determined necessary. If your new space has a different billing rate, the new rate will take effect the day your new assignment begins. The Housing Information Office offers a few options for both undergraduates and graduates who would like to make changes to their living conditions. Please be sure to look in the section that reflects your resident status. Consider a room swap when a you have contract but would like to live in a different location. You are responsible for finding a person with whom to swap rooms. To help you along, we facilitate an online room swap bulletin board. Swaps are only allowed between U-M enrolled students with signed Housing contracts. If the swap results in a change to your housing type, you will be billed (or credited) based on the rate of the space into which you are moving. If you move into a substance-free space, you will have to abide by the substance-free policies. Due to the differences in the Housing application processes and contracts, Martha Cook residents cannot swap out of their residence. You may agree with another U-M enrolled student with a signed University Housing contract to swap rooms from April 4 to August 15 in the Housing Information Office. Swaps requested after August 15 need to wait until fall semester move-in. All swaps must be authorized by University Housing. Let other students know that you are looking for a student to swap with. To do this, complete an online swap ad. Include info on the type of swap you’re interested in making. We will post your ad on the room swap bulletin board for two weeks. If you would like to run your ad for more than two weeks, you will need to resubmit it. You can also review male or female swap ads from others to find a swap partner. When you find a match, email us at hsg-roomswap@umich.edu to learn how best to proceed if before August 14. If you are swapping after move-in, both students should go together to the Community Center of their complex. Contract reassignments are useful when you would like to discontinue living with University Housing. Unfortunately we cannot release students from a contract for the purpose of moving off-campus. However, you may attempt to reassign your contract to another eligible student. Before and during the Fall Term, contracts may only be reassigned to newly admitted students. Use the Housing Contract Reassignment Bulletin Board below to offer or look for a contract reassignment. Once you find an interested party, you are responsible for making contact and discussing the details. The student with the contract should then contact the Housing Information Office to request contract reassignment paper work. Please include the name and UMID of the enrolled student who would like to take over the contract. The forms must be filled out completely, submitted and approved by the Housing Information Office. You can only reassign a contract to someone of the same gender as you, as that is the gender designation of that particular space. Making offers of monetary compensation, incentives, or rewards in a contract reassignment ad is strictly prohibited. Such offers will be removed before posting, the ad may be removed from the bulletin board, and the student may be barred from submitting ads in the future. There is no guarantee that you will be successful in making or finding a contract reassignment. University Housing Contracts are legally binding for the entire term of the contract. If you would like to move within the Northwood Community read Apartment Transfer. if you become ineligible for University Housing or have to leave your Northwood apartment, you have three options as explained below: Contract Transfer, Contract Reassignment, or a request for Contract Termination. If you live in Northwood I, II, IV or V and you would like to move to another apartment, complete an Apartment Transfer Request. We will keep your Apartment Transfer Request on file for the whole year. The requests are time-stamped in the order in which we receive them. Each time an apartment opens up, we will contact the first person on the list who is waiting for an apartment with the same specifications. If they decline, we will work our way down the list. Your request will not be lost or forgotten. We regret that transfer requests for July or August cannot be considered. Non-students are only eligible to transfer to Northwood V.
If you have questions related to an apartment transfer, please contact Housing. If you graduate or become ineligible for University Housing and your spouse/partner meets the Northwood Community Apartments eligibility requirements, you may request that the contract be transferred to your spouse/partner. Complete the online Request to Transfer Contract to Spouse/Partner form. A Housing Advisor or designee must approve the request in writing. If the transfer is approved, the spouse/partner will sign a new contract listing them as the contract holder. The rental rate will be assessed at the appropriate student or non-student rate and will be based on the date of the contract transfer. Contract reassignment is when you find an eligible person to take over your contract. It’s your responsibility to find, connect with and make arrangements with an interested (and eligible) student. You can use the Northwood Contract Reassignment Form to post an ad. When you and the interested student have come to an agreement, contact us and we will start the process. The original contract cannot be transferred to a current Northwood contract holder. If you make a reassignment match, contact the Housing Information Office for the contract reassignment form. If you are a single graduate student sharing a Northwood apartment, you can only reassign your contract to a single graduate student of the same gender. Contract reassignments will be based on the terms and conditions of the original contract and will have the same contract end date. If the new contract holder becomes ineligible during the contract period, you will be held responsible for the terms and conditions of the original contract. Contract reassignments are not allowed within 60 days of the contract end date. Use caution when committing to another housing obligation. Please note, you are responsible for your Housing contract until both parties have completed the reassignment paperwork and if, for any reason, the reassignment paperwork is not completed, you will continue to be responsible for your contract. Making offers of monetary compensation or other non-monetary incentives or rewards as part of a listing for a contract reassignment is strictly prohibited. Mentions of such offers will be removed from the bulletin board and you may be barred from submitting ads in the future. Ads are posted for two weeks. You may repost as often as you like.The Housing Information Office is the final authority on all apartment reassignments. Fraudulent use of this process will result in the resident’s name being removed from the Bulletin Board. If University Housing is unable to offer you a contract and you still wish to live in Northwood I, II, IV or V, you may consider assuming another resident’s contract by means of a contract reassignment. You must be eligible for the assignment you want. If you already have a contract with University Housing, you cannot participate in a contract reassignment. If you are interested in a contract reassignment, you are responsible for contacting the resident whose contract you wish to assume. There is no guarantee that you will be able to successfully obtain a contract through this reassignment process. Munger Graduate Residences contracts may not be reassigned. University Housing provides room swap bulletin boards. We do not facilitate swaps in any other way. Swaps are only allowed between individuals with signed Housing contracts within the same community. Northwood contract holders may swap between Northwood I, II, IV and V. Munger contract holders may swap within the building, and a ratio of four (4) schools and colleges must be maintained within each suite. Residents may not swap between Northwood Community Apartments and Munger Graduate Residences due to the differences in the two housing contracts. In all cases, the original contract end date may not be changed. You cannot “swap” into a vacant space, nor can you swap into a space for which you are not eligible. If the swap results in a housing rate change, you will be billed based on the rate of the space into which you are moving. University Housing bills on the half month; therefore, swaps must be effective on the 1st or 16th of the month. Room swaps may be conducted between two contract holders who are already on-campus and living in their originally assigned space. Swaps will not be made if one or both contract holders have yet to take occupancy of the apartment. Residents swapping between Northwood IV or V and Northwood I or II may go to either community center. All swaps must be authorized by University Housing. All areas of University Housing are designated no-smoking, and all University of Michigan campus buildings and grounds are also smoke-free. No smoking will be allowed in or on U-M campus property. All residents and guests who smoke are expected to observe the no-smoking regulation. The Community Living at Michigan policy, is a legally binding adjunct to your Housing contract. Violations of the smoking policy within University Housing will be handled under the Housing Student Conflict Resolution Process which is outlined in the Community Living at Michigan policy. When you move in you complete a Room Condition Inventory (RCI), and a residence hall staff member signs the document. When you move out, the condition of the room is noted. Charges may be billed to your student account if you are found to be responsible for damage to or loss of University Housing property. If the damage, loss or need for cleaning is discovered during the term of the contract, you will have five days to appeal the assessment, according to the Housing Student Conflict Resolution Process. Students who are responsible for damages to a room, furniture or any part of an apartment will be billed for repairs, missing keys, excessive cleaning or missing furniture or equipment. All residents should have completed, signed and returned an Apartment Condition Report (ACR) when they moved into an apartment, either at the beginning of a term or when changing rooms within a term. The ACR is used to record any problems with the condition of the apartment when it is initially occupied. If the ACR was not completed and returned, University Housing assumes that there were no problems with the apartment when the residents moved in. Residents will be held responsible for any damage when they move out unless 1) it was noted on the ACR, 2) it is normal wear and tear or 3) it is related to a maintenance problem reported to FIXIT. End-of-term damage assessment notices are mailed to your forwarding address. If you disagree with the charges, you must respond in writing within 10 days. Damage assessments are billed to your student account. Rooms are inspected for health and safety conditions at the end of each term or whenever the room is vacated. Residents have the right to be present for this inspection and to schedule it with their Hall Director before moving out. The most impartial way to effect restitution for damages that negatively affect the community is to bill only those responsible. Therefore, residents are encouraged to accept responsibility for their own and their guests’ behavior. However, there are instances when damages occur in individual rooms or in the common areas of the floor or building and attempts to identify the parties responsible for the damage are not successful. If you are aware of any person who is responsible for specific damages, please contact Housing Security. Every effort will be made to determine who is responsible, but when that is not possible, the replacement or repair costs will be divided among the room, floor, house or hall residents at the time that an accurate cost determination is made by Building Managers. Residents who were not on campus during the period the damage occurred may be exempt from charges billed to a group; residents in this category must inform the Hall Director in writing as soon as possible after receiving the notice of group billing. The Hall Director, in consultation with the building’s facilities staff, will make the final determination. The Associate Directors of Facilities will handle appeals of group billing charges.